This throwback fuzz is worthy of the highest office. This 50-year-old is just hitting its stride. 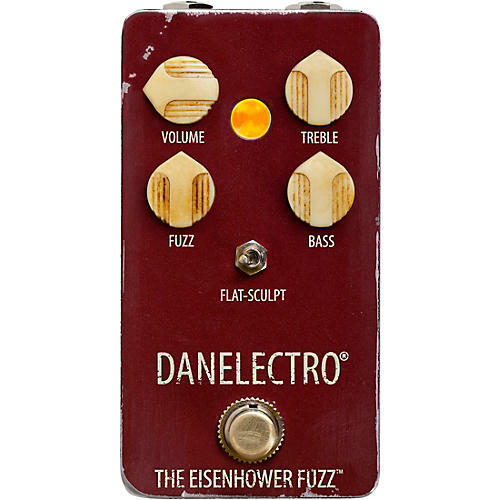 The Danelectro Eisenhower features over-the-top fuzz with a super-hot octave effect. The engineers amped the gain and added EQ, offering delicious harmonics with a super “out front” octave. The sculpt setting scoops mids and boosts bass for outrageous, “in your face” tone.